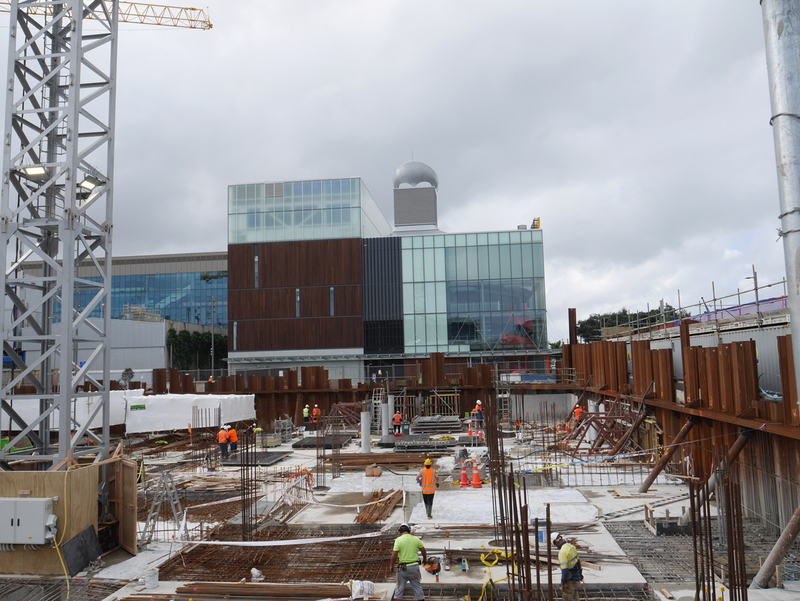 132 Halsey Street is a premium apartment complex under construction in Auckland’s rapidly growing Wynyard Quarter. 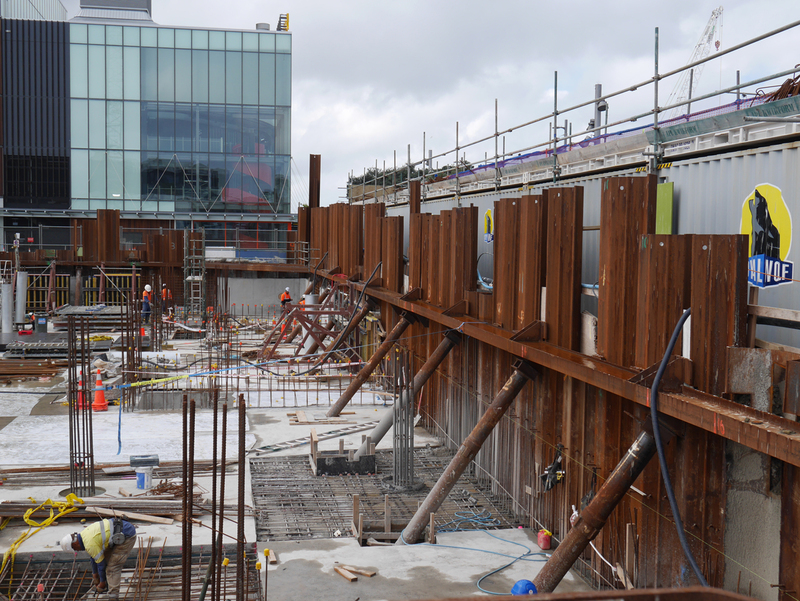 Haydn & Rollett is delivering the development on behalf of Willis Bond & Co.
A significant sheet pile retaining wall was required to excavate the underground car parking for the apartment block, but an inability to tie the wall back, or prop it internally created a significant challenge for Haydn & Rollett. 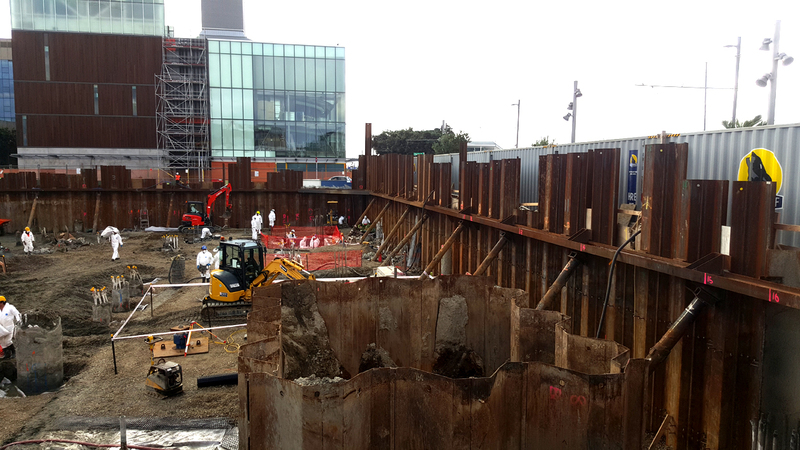 Having worked with Piletech in the past, the contractor approached us to install screw piles on a 45o angle to temporarily prop the retaining wall during excavation. 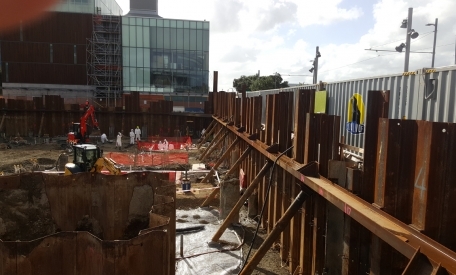 From initial contact, to completing design, manufacture, testing and final pile installation Piletech delivered a bespoke piling solution within just four weeks. 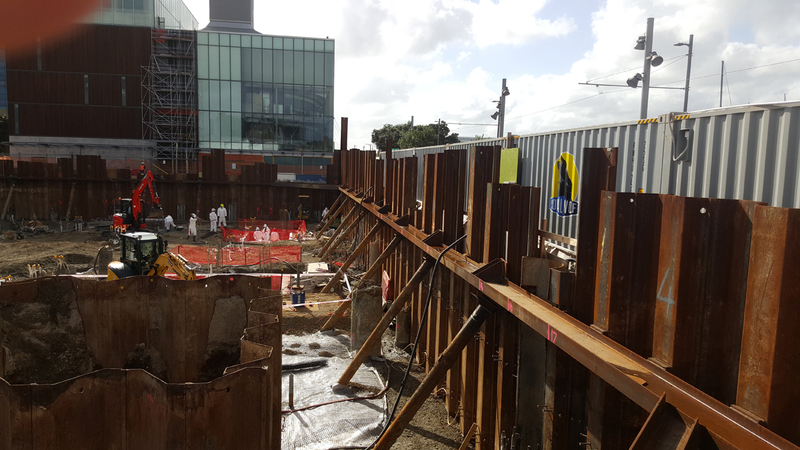 When compared to the original solution (staged excavation, and staggered concrete pours of the basement slab and walls, and halting all other works on site), screw piling cut months off their programme, and saved thousands of dollars for the client. Client: Willis Bond & Co.